Brazil’s ex-president Luiz Inácio Lula da Silva, who is being held at the Federal Police headquarters in Curitiba, sent a letter to the Workers’ Party (PT) chair, Gleisi Hoffmann, on Wednesday (9). 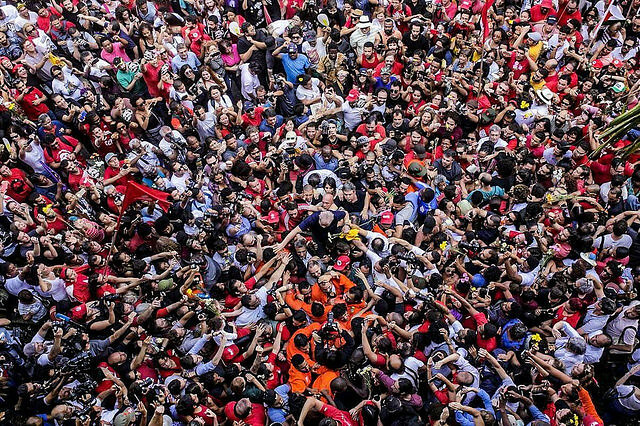 In the letter, Lula once again wrote that he is the PT's candidate in the country’s upcoming presidential election in October until the charges against him are cleared. “My accusers know I’m innocent. Prosecutors, judge, the appellate court, [they all know] I am innocent. My lawyers know I am innocent. Most of the people know I am innocent. If I accept the idea of not running for office, I will be admitting to a crime. I didn’t commit any crime,” Lula wrote. I am watching the media’s debate over whether I would run for office, have a Plan B, or support another candidate. I know how much you are being attacked. That is why I’ve decided to make a statement. I know who are those who do not want me to run, and also their political reasons, because they are my rivals. Others think that, because my conviction was upheld, I am guilty and am in the ‘clean slate’ electoral law limbo. My accusers know I’m innocent. Prosecutors, judge, the appellate court, I am innocent. My lawyers know I am innocent. Most of the people know I am innocent. If I accept the idea of not running for office, I will be admitting to a crime. I didn’t commit any crime. This is why I am running, waiting for the truth to come out. The media, the judges, and the prosecutors have to show what's the crime I committed or just stop lying. The people deserve respect. The people have to have rights and a decent life. This is why we want a society where no one has privileges over others, but everyone has rights.